The spectator selects a card from a deck of numbered cards. 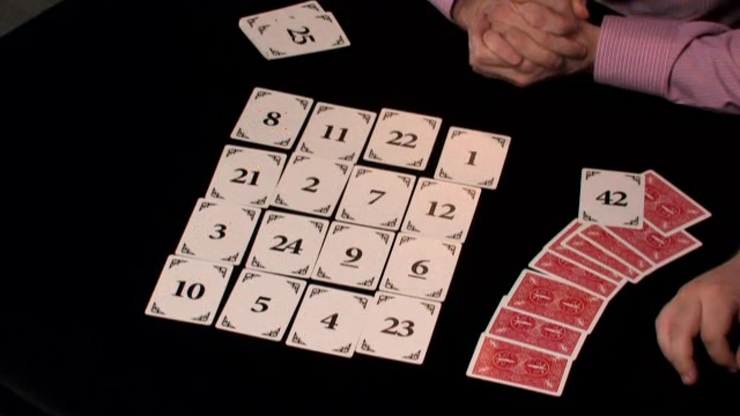 The magician then deals out four hands of cards and asks the spectator to guess which hand adds up to the same number he has chosen. Incredibly, the spectator is correct. The chosen hand does add up to his selected number. But that's not all. Each of the other three hands also reveals the chosen number. The four hands are quickly arranged into a 4 x 4 grid to form a magic square. Each column, diagonal, row now adds up to the chosen number. Even the four corners total the number. 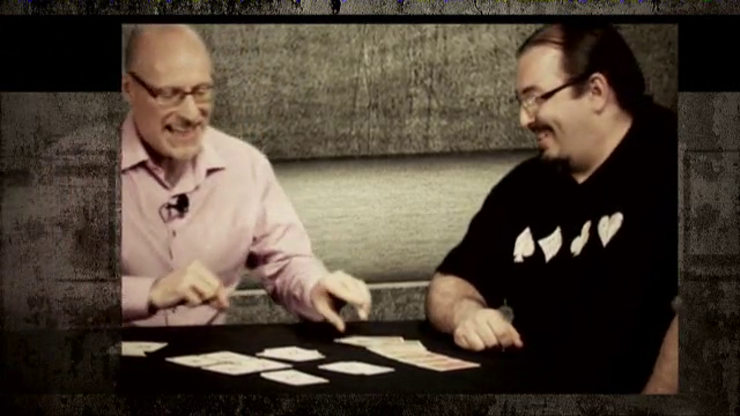 Finally, the cards are turned over to reveal a message that also predicts the chosen number. Complete with special deck. Totally self-working. Easy to reset. Different numbers can be selected.